Head to Amazon to score this LEGO Classic World Fun Building Kit for only $12.99, regularly $19.99. Accessory elements include a trident, pair of flippers, helmet, walkie-talkie, camera, map, flying helmet, chicken leg, glass, ice pop, fish and a snake. 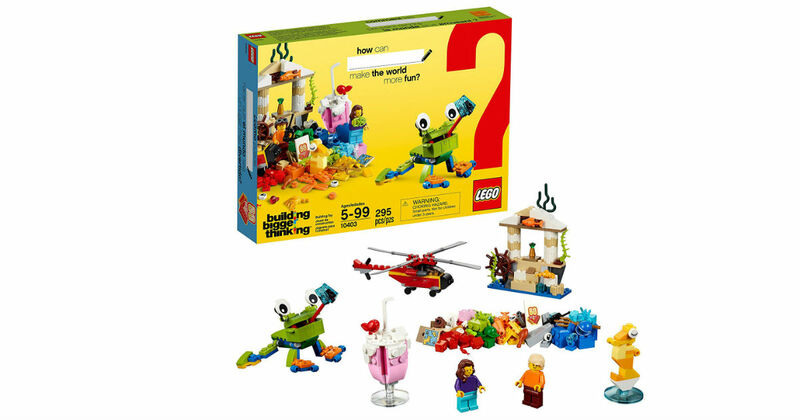 This special edition fun toy includes 2 minifigures and is suitable for ages 5 and up.